I know you’re not supposed to peg your child early on. Certainly don’t voice your opinion on what you think they should do when they grow up, but if my Madelyn doesn’t pursue a career involving something swimming in the ocean or human anatomy, I will fall down in shock. She was three when her older sister headed to kindergarten, and I knew that Madelyn was ready for some sort of seatwork. This is not typical of most at that age, but she was that kind of girl. If big sister is going to school, then she is too: the classic academic type. So I bought her an ocean sticker book, which she still owns seven years later. 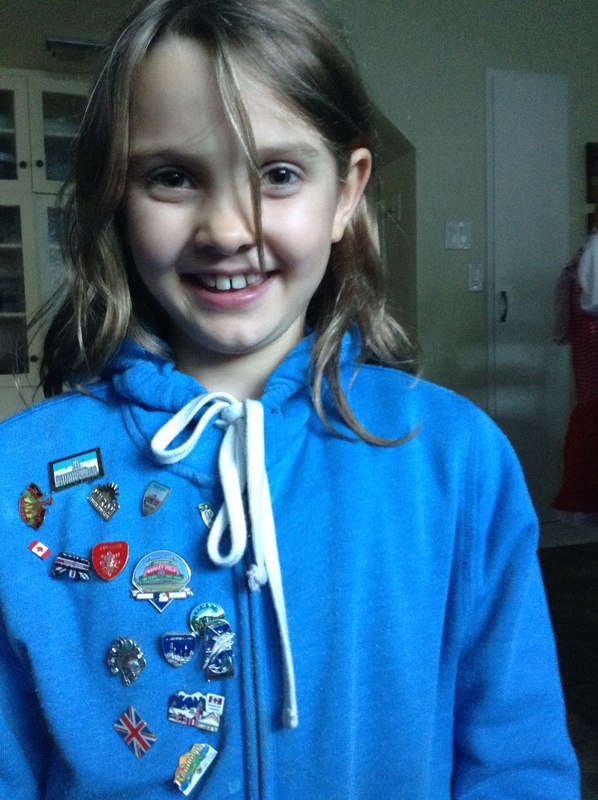 Her interest has continued throughout the years, watching Netflix documentaries about anything under the sea, adoring the Little Mermaid (naturally I cried when she met Arial at Disney World), and now, spending her science time working through Apologia’s Zoology Swimming Creatures of the Fifth Day. There are prescribed daily readings and when she’s completed them, she’ll come to me to narrate…ie: let me know what she’s read or understood. Her passion feeds her ability to keep those tidbits of knowledge trapped in the waters of her mind. So far there’s been a discussion on zooplankton and phytoplankton, the continental shelf, surface currents, nektonic creatures, estuaries, and oh, you get the point, under the sea stuff. This is certainly a lot more depth than I would ever enjoy, but likely a great start to her marine biology career? The notebooking journal allows her to get creative in formulating summaries of her readings. She can draw a few diagrams, fill-in-the blank review pages, practice handwriting from related Bible verses, even vocabulary crosswords. And of course, with all great science books, there are experiments, also known as Try This! sections. 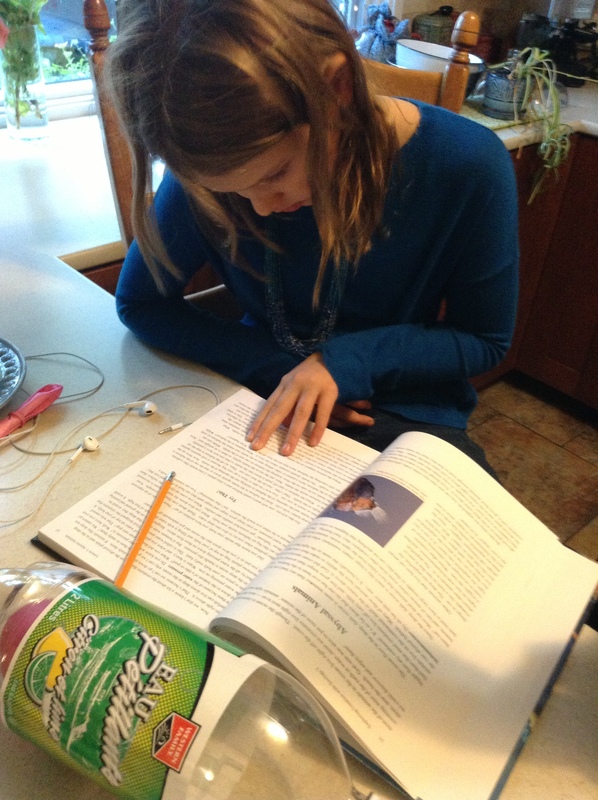 At Madelyn’s age of ten, she can independently read the material and even perform the experiments. Fridays, she gets to perform or explain her experiment as part of their weekly presentations. When we flipped through this well-known textbook series at the conference vendor, she was jumping up and down asking me to, Please buy this one. Having watched her interact with the material and the textbook, I now understand why it’s so popular. Still, I would not sit most of my children down with a textbook, and say, Have fun, go crazy, read, read, read… But this kiddo is hard-wired that way, for this particular topic. From the mouth of the babe, Madelyn says: “I like that it incorporates games and handwriting, and there’s a lot of experiments. I would recommend it to kids aged 8-13. I give it 4 stars”. 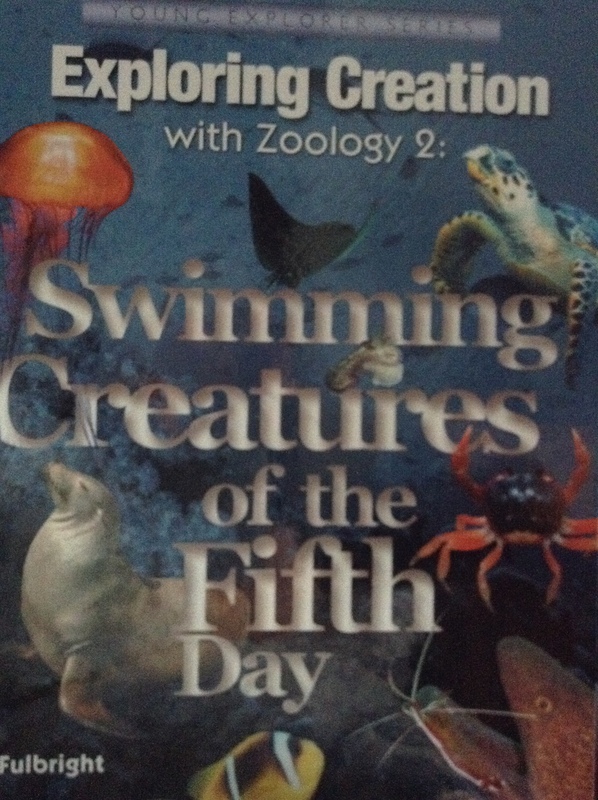 Tags: apologia science, homeschooling, marine biology for kids, science with kids. Bookmark the permalink.